(7-4-10), you will find about 468 links. Champagne | Berceau de l'aviation du Monde On this website you will find three portraits of him. The website is all in French, but even without a translation it is very interesting and helpful. You can access the site by clicking on the title above. 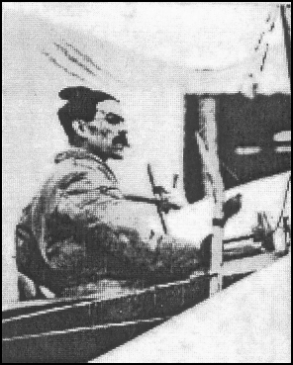 Early Hanriots This series of articles on the Aerodrome Forum website is primarily devoted to the history of René Hanriot and the the Hanriot aeroplanes, but because of Wagner's relationship with the company, offers many details of his career. If you don't choose to read the entire series of articles, you may want to use the "FIND" function on Wagner so as not to miss any of the occurences of his name. You can access the site by clicking on the title above. The Bournemouth Aviation Meeting July 1910 This is a remarkably rich source of information about Wagner, as well as the meet itseld. You can access the site by clicking on the title above. The Flightglobal Archive invites you to explore 100 years of aviation history as it appeared in the original pages of Flight Magazine from 1909-2005. THE FLYING MEN AT BOURNEMOUTH AND THEIR "MOUNTS"